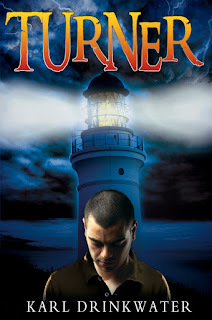 Home » Turner » A new version of Turner for Halloween! 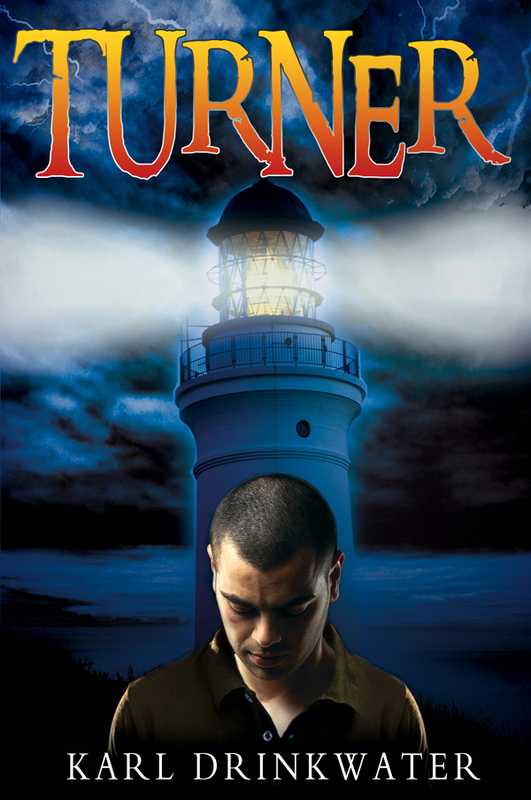 A new version of Turner for Halloween! The lighthouse as above without any human figures - for a striking single image cover, which would be a jazzier version of my original attempts (a brighter version of option 2 here). Chris and John on each side of the lighthouse. 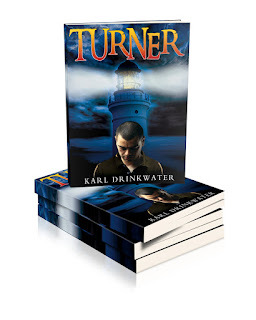 This would be good for showing the conflict between the two characters who both want to be ‘the Turner’, good and bad versions. The images from the E version above could be the basis. For some reason I prefer Chris on the left (looking right) and Lord John on the right (looking left). Just Chris – the body/polo neck from E, but the head from the version used earlier in the middle image of the bottom row here. The reason that came back to mind was because it gives the impression of someone bowed but not defeated, or preparing for a great ordeal, which also captures a feeling from the novel. 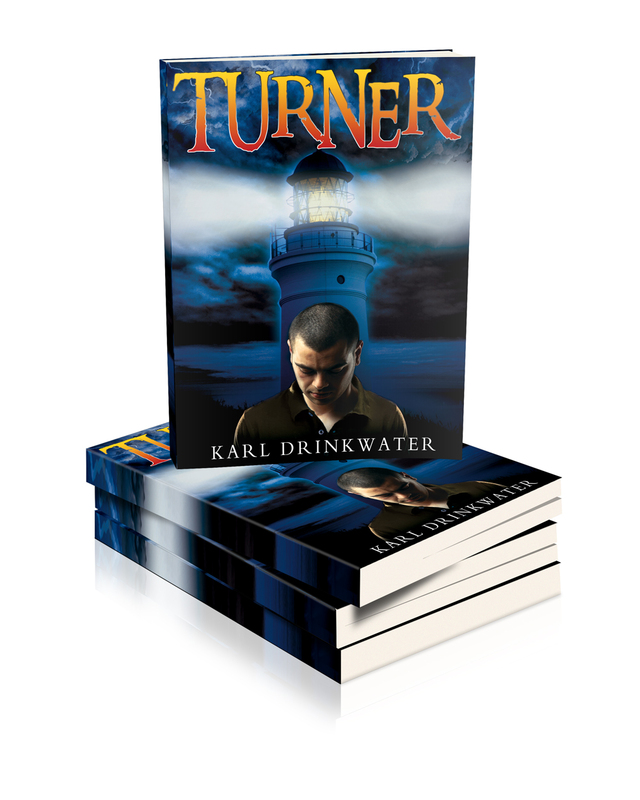 Chris’s full name is Chris Turner, so tying his image to the lighthouse, pensive yet strong, is quite striking in its own way, and implies a figure who can stay calm despite adverse circumstances. Sorry for all this talk of cover iterations, it's the kind of thing I find fascinating - as a writer I'm always working with how ideas evolve into more concrete shapes through words, but haven't been so involved in how the same process can work visually before. Did I make the right choice with regards to the cover? Which would you have chosen if it was your book? Anyway, that means a new version is available for Halloween! I have made only very minor edits to the text for clarity, and had spotted a letter 'i' missing from a word three quarters of the way through the novel which was horrifying to me, therefore it was an appropriate discovery for Halloween. I've made the new version available but it takes a while to drip through all the distribution channels (the print versions in particular take a bit longer to update). As long as you see the new cover when you go to buy it then you are getting the new edition. It will be interesting to monitor whether the new cover affects sales. 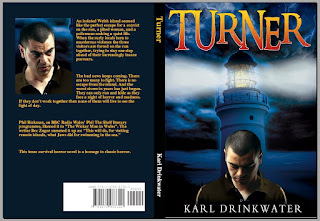 Buy a copy for yourself or your loved one! I've added a new 50% discount on the Smashwords version for Halloween (Smashwords is the only distributor who make it easy to create discount vouchers, otherwise I would do this on other stores too). Just enter the code prior to completing the checkout. Definitely a stronger cover. I hope it increases sales! I'm sure I read /heard somewhere that a face image on a front cover leads to more people buying it.